Bongbong Marcos remembers how the opposition demonizes his father during his previous visit at the Malacañan Palace. The late President Ferdinand E. Marcos was accused of being the man that he never was, according to his son. They are doing the same thing with President Rodrigo Du30. Most commercial media speculates about the ballooning of the country’s debts, selling bonds to China and borrowing allegedly large sums of money from them. The President’s proposed budget for next year is 3.77 trillion pesos including the “Build Build Build” infrastructure projects. He admits that there are lots of offers for foreign loans but so far, the Asian Development Bank spearheads the investment side of the development. In actuality, the World Bank reserves would be more than enough to fund all the developments in the country. President Du30 witnesses the signing of an estimated $9.5 billion worth of investment agreements with Chinese businessmen. 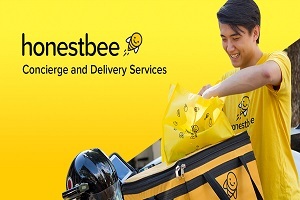 This could generate some 10,800 jobs for Filipinos. He appreciates the investment pledges as a sign of the “vigorous momentum” of Philippines-China ties. Then stresses the importance of further developing economic cooperation with China. The Philippines focuses on agriculture, fisheries, infrastructure and public works, energy, trade, as well as e-commerce, industrial park development, MSMEs (medium, small and micro enterprises), processing, manufacturing and tourism. The Chinese investments in these areas are mere business deals and not loans. Trade Undersecretary Rowel Barba confirms the increasing Chinese confidence in the Philippine economy and their belief that the country could sustain its 6.7-percent economic growth for the next five years. In fact, the number of Chinese businessmen formalizing their interest to invest in the Philippines increases. A delegation visits the country to explore other businesses. This is taken by the detractors as China’s invasion of the country. The biggest investment plan in the Philippines comes from the Shangai GeoHarbour Group. It earmarks the $3.46 billion for land reclamation, sludge remediation, and land development. They only won the bidding for the Manila-Clark MRT’s construction supply like cement because Japan cannot beat their competitive prices. 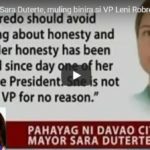 It is clear that the infrastructure of the opposition that destroyed the reputation of former President Marcos is out to malign the current President who favors his son. This time, the likely heir to the presidential throne is more than ready to counteract those fake news against him and his allies. There are also battles detected in the major branches of government. Sol. Gen. Jose Calida pushes the Supreme Court to honor their 40% own ruling for the vote shades. Interpolations are also ongoing between pro and anti-Marcos solons for his victory as VP in the 2016 elections. Congressman Lito Atienza fights for Marcos’ side in the Congress. Gov. Imee Marcos and Mayor Cristina Romualdez seem to be in tune with the palace when it comes to the real status of the country’s economy. The questionable VP earlier said that the President should prioritize the declining economy first before criticizing her incompetence. Palace spokesperson Harry Roque said that in fact, the Philippines is now the darling economy in Asia. Marcos and Romualdez added that the world’s gasoline crisis is the one to blame for the price hike of commodities. [VIDEO]: The world market’s gasoline crisis is the culprit for the price hike of commodities according to Marcos and Romualdez. Roque notes that the increase in the price of oil in the world market is the reason for the increasing prices of commodities. “All economies in the world will agree that we are a darling economy,” the spokesperson claimed in a press briefing. He added: “Madam vice president, there is no problem with the economy.” In the first quarter of 2018, the Philippines remained one of the best performing economies in the region after it grew 6.8 percent. The expansion pace missed the government’s expectations due to “spoiler” inflation. Detractors of the government blame the rising prices on the Tax Reform for Acceleration and Inclusion law. It allegedly lowers the income tax rate but also imposes higher taxes on fuel and “sin” products. The peso also continues to be weak against the dollar but Du30’s economic managers and Roque said this was not a cause for concern. 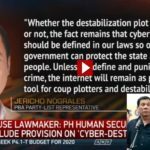 Romualdez said to Marcos that the President is leaving this matter to the Congress since he cannot decide on this without a specific law as per the constitution. The President’s announcements regarding the investments of China or any countries never pertains to borrowing money from them. So far, we can only verify the Asian Development Bank’s investment on the major MRT infrastructure for the “Build Build Build” project. China so far got only the bid for the supplies of the construction like cement. Japan is also the contracting consortium. The Marcoses knew that borrowing from other countries is not an option because we have enough reserves for such investments. 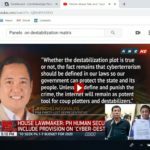 Only the destabilizers would cast a shadow on this to malign the Du30 administration. Robredo also said that changing the constitution is not the solution to high prices and poverty. However, she does not have a good solution also. That made her incompetent. Instead of contributing to the country’s progress, she brings chaos into it for her own interests. The VP is so out of tune with the world’s situation. The country’s economy is far better than Japan as far as stability is concerned. 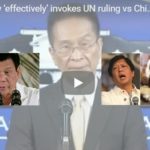 The Marcos wealth for humanity is not a myth after all. We can feel it and the President puts it into the people’s advantage through the aggressive infrastructure project following the late President Ferdinand E. Marcos’ will. Vice President Leni Robredo vows to block former Senator Bongbong Marcos from the second highest position in the country. This is despite criticism, impeachment threats, and an election case against her. Meanwhile, the Filipino Alliance for Transparency and Empowerment or Fate said that “an obvious hand is seen in manipulating” the upcoming impeachment hearing against Supreme Court Chief Justice Maria Lourdes Sereno. The group cited Political and Electoral Reform executive director Ramon Casiple’s statement that lawyer Lorenzo “Larry” Gadon, who filed the impeachment complaints against Sereno, publicly admits that he wants to “avenge” former president and now Pampanga Rep. Gloria Arroyo and the late Chief Justice Renato Corona. Gadon wants to make sure that the vice Presidency goes to Bongbong Marcos. 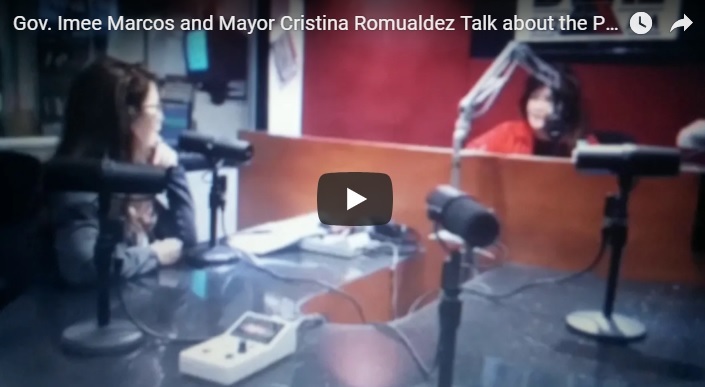 [VIDEO]: Robredo to ‘do everything’ to block Marcos return to power. Casiple said as per Fate that Gadon was candid enough to say he filed the Impeachment Case for three reasons. First, he wants to get back regarding what happened to Gloria Macapagal-Arroyo. Secondly, he aims to avenge the late ex- CJ Renato Corona who he thinks was unjustly judged. He wants the ones who benefit from it, like Supreme Court Chief Justice Sereno, to be accountable for it.” Finally, Gadon works to assure former Senator Bongbong Marcos’ swift take over to the VP post. “Gadon was one of Arroyo’s lawyers in the plunder and other cases filed against her. Corona is an appointee of Arroyo. He was impeached by the Senate in 2012. An inquiry on the PDAF funds allegedly used to bribe the Senators to get rid of Corona is likely to happen. Sereno replaces him. She is an appointee of ex-President Noynoy Aquino, Pnoy also swears to block Marcos’ return to power by hook or by crook. Marcos’ election protest against Vice President Leni Robredo now awaits the recount date from the PET. Gadon denies Casiple’s allegations. “There was no event that I have publicly said that I seek to avenge PGMA and the late CJ Corona’s plight. Casiple is a self-made pseudo political analyst. It seems that he has a talent in fiction writing also,” Gadon analyzed. He also downplays Fate’s revelation as a “bogus propaganda of the yellow.” “They just want to muddle on the issues. There are many grounds for the complaint against CJ Sereno. 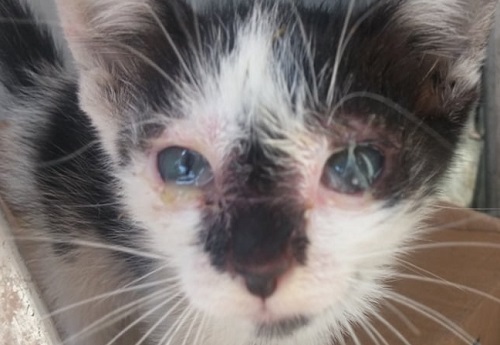 The complaint is meritorious,” the lawyer explained. “The yellows are good only for slogans and hypocritical acronyms, FATE? Who are they? Their comments do not matter, no one believes them except the brainwashed and indoctrinated yellows,” Gadon added. Brain-washing was, however, massive during the time of the late Ferdinand E. Marcos. Such campaigns are Liberal media creations here and overseas. Examples of these stories are the alleged fake medals of the late Marcos. The former First Lady’s shoe collection is another. Plus, the so-called ill-gotten wealth. The government’s official record shows that Marcos’s one medal is enough for him to have a Heroes’ Cemetery burial. The Marikina shoe trade gives credits to Congresswoman Marcos. Marcos’ wealth for humanity replaces the hidden wealth allegation. Bongbong Marcos said that no arrangements are made yet with the government. He does not know how to go over the hand-over process as far as the wealth for humanity is concerned at this point. This update is known during their family get-together in Ilocos Norte for the Centennial celebration of their patriarch, the late President Ferdinand E. Marcos. 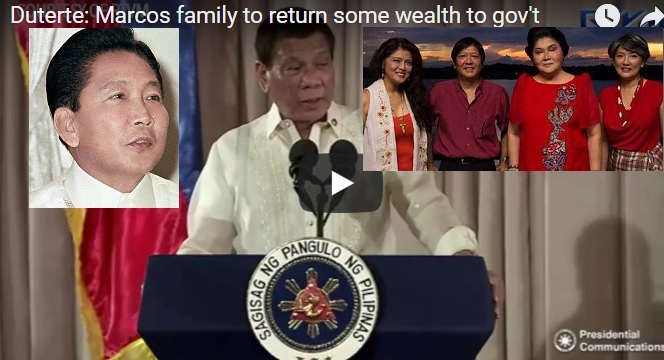 [VIDEO]: Bongbong Marcos on wealth for humanity update. Communications Secretary Martin Andanar also said that he is not aware if President gets an invite to the gathering. “The Marcos family are entitled to their own event. If they want to celebrate the birth anniversary of former President Marcos, it’s up to them, he added. We’re not connected to the Marcoses,” Andanar said. The Marcos family celebrates the birth centennial of the late president Ferdinand Marcos at the Libingan ng mga Bayani on his birthday, Sept. 11. Ilocos Norte Rep. Imelda Marcos organizes the celebration. “It’s a family affair, plus friends and guests,” so to speak. Earlier, the President issued Proclamation 310. It declares the day as a non-working holiday in Ilocos Norte. This is in commemoration of Marcos’ 100th birth anniversary. Many anti-Marcos people are critical on this but since they found favor in the President’s eyes, they can’t do anything. Despite the criticisms received from detractors, the Marcoses express their sentiments that they have the right to celebrate the birth anniversary of their kin. This is everybody’s right. Lucky are those who are invited. The rest shall not sour-grape. 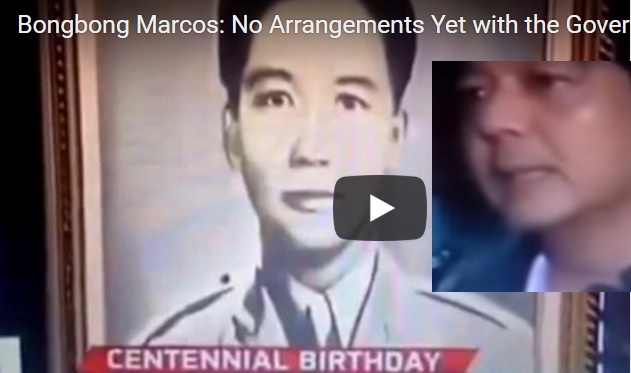 Marcos loyalists are hopeful that in the future, it will be a nationwide holiday. The general public was stunned when the President announces that a trustee of the late President Ferdinand E. Marcos has opened talks with him to return some alleged hidden wealth secured by the Marcos to protect the economy. 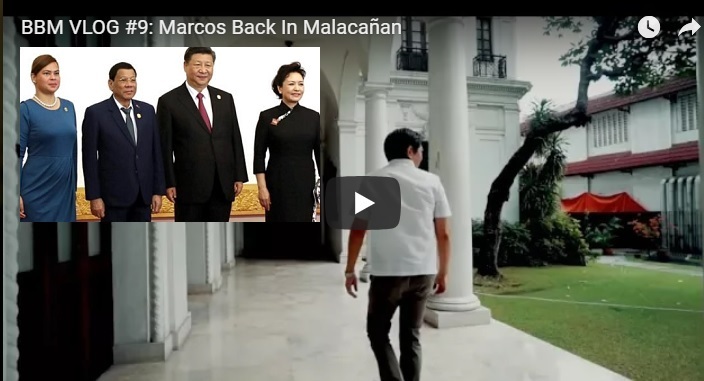 It is not surprising that Rep. Imelda Marcos, his widow is clueless about it. His last will and testament clearly state that the said resources are for the welfare of the people. This got nothing to do with the inheritance of his family. The brilliant President that the Philippines ever had has gone through a lot of misjudgments. Nonetheless, if one really scrutinizes his actions, it is not difficult to analyze how he protected the people even beyond death. He was aware of the tendencies of human nature that even his own family is spared from the direct possession of the said wealth. He appointed a trustee that is certified by the Central Bank, World Bank, and the International Monetary Fund. They must be used to fund livelihood projects through entrepreneurship and scholarships or free education from primary to tertiary education. Healthcare, disability, and retirement benefits are amongst the priorities of the late president. The strongman secured that through his will. That is why Bongbong Marcos will never fail to make that happen if given the chance. Since the President is very vocal in reviving FEM’s agrarian and irrigation projects and has continued economic relationship with China through infrastructure projects, the right time for the disclosure of such wealth has finally come. The trustee as mentioned by the President sees the right opportunity in this administration because of its genuine projects for the Filipino masses despite the deficit spending. This is one offer that a people’s leader cannot say no to regardless of possible political condemnations. Filipinos can be certain that Du30 would always decide on the majority’s welfare.